Great idea! I would create my own character too if I was creative but I'm not so I would never be able to think up a good story. Yes you can! I put in some of my real life memories in it:)You can use some of my character's story and try to show how he or she is different than from the others in the series. Fëasilme inherited both Fëanor's genius and bad temper. She was born before the creation of Silmarils and has always admired her father's work, trying very hard to be like him. After years of practice she finally created a special type of metal which she called angessë - armour or weapons made of it could be used only by their owner and provided him/her with extraordinary protection. However, the good times soon came to an end. After Morgoth and Ungoliant destroyed the Trees and stole the Silmarils, Fëasilme returned to Middle Earth with her father and the rest of the Noldor. She didn't take The oath of Fëanor, which made her father hate her, but her own saying she would always seek vengeance and kill every ally or servant of Morgoth. She didn't want to take part in kinslaying in Alqualondë, but was persuaded to board the stolen ships. She fought in the Wars of Beleriand and because of her angessë sword and armour managed to survive, but received a wound from Sauron that will never truly heal. After the War of Wrath she joined her nephew Celebrimbor and after the fall of Eregion, moved to Imladris. She was reluctant to do so, due to the animosity between Elrond and her. In the Third Age she met Frodo, Sam, Pippin and the elves in the Woody End and decided to help hobbits get to Rivendell, but did not join the Fellowship. I've read it and now I see that Fëasilme is a terrible Mary Sue, but I can't bring myself to kill her. Sorry! Here is mine. I hope you like it. Weapon: oak, platinum and titanuim bow enchanted so he never missed his target. Appearance: Black cape, Black hair, mithril armor, green plate with gold trim, green leather pants. STORY: A little boy when the ring was destroyed, Javada always wanted to kill orcs. When he was 9, he was gifted with a bow. Very excited, Javada set out to destroy the ranks of evil. Now in his teen years, Javada has become a powerful hunter. At age of 13 Javada's village was besieged by orcs. As he vowed to get revenge, Javada set off to destroy all orcs. As he turned 15, Javada traveled back to his village as a war hero. Two days before his 16th b-day, Javada was nearly defeated atop the ruins of Minas Morgul by an old friend gone corrupt Ezeldier(EEZ-el-Deer)After the battle Once again Javada traveled home, just to find it destroyed. He tried to decide where to move next and finally decided on the sacred elven home of Rivendell. In his new home, Javada was gifted with his own power ring, Slerion. When he got this silver ring, he learned that it had the power to summon undead warriors, and blind the opponent with lights. Finally satisfied, Javada lived a happy life. Or so he thought. Javada was sent to battle at the front lines, but not empty handed. Javada's bow was enchanted so that he never missed his target. He could control his arrow with the power of his mind. He won many battles, but was wounded terribly by dark magic. He was immobile for sveral days, and without his help, much of rivendell was destroyed. But as soon as he was well, Javada spent many days in his workshop. Finally, and proudly, he presented a new armor that was a force to be reckoned with. Using his magic, Javada presented his new armor. Titanium fused with mithril. The titanium caused the mithril to ultra-light, and immune to magic. Javada, finally at full health, lead the elite squad of elves responsible for the destruction of minas morgul, and the defeat of Buzil. Appearance: Scarred face, destroyed Chain-mail, Always frowning. Story: When he was young, Ezeldier was best friends with Javada. Then one day they fought and ezeldier was instantly defeated. Outraged at his defeat, ezeldier was taken half over by the power of evil. He grew so powerful, he found the destroyed Sauron's blade, picked it up, and dominated all orcs. Later, ezeldeir ordererd all orcs to destroy Javada's village. After they had success, ezldeir learned that Javada was not in his village the day he attacked. Now ezeldeier was so angry, he set out to kill Javada himself. When he finally met Javada on top of the ruins of Minas Morgal they fought furiously. But Ezeldier was no match for Javada, even with the blade of sauron and was cast off the top of the fortress of evil. Weapons: Elemental staff, Ancient sword 'Shadowsbane' created by Feanor. Appearence: Tall and rangy, wears a forest-green cloak and robe always keeping the hood up to shadow his face. Carries a black staff of unknown material which harnesses the power of the elements. Felduir came to Middle-Earth from across the sea in the year 3442 S.A. after the downfall of Sauron, to help the free peoples restore order to the land. Not much is recorded of his travels and labours, except that he spent many years with the Dunedain of the North, protecting The Shire at the request of Mithrandir the Grey. In 3007 T.A. he travelled to reside in Dale as the personal advisor of King Brand. In 3019 T.A. during the War of the Ring after King Brand and Dain II Ironfoot had been slain, he helped their successors, King Bard II and Thorin III Stonehelm, to rally the peoples of Dale and Erebor into a counterattack that repelled the servants of Sauron. Felduir departed Middle Earth from the Grey Havens in 3021 with the last ship, alongside Mithrandir the White and the Ring Bearers. Name: Crimson - her real name is Amanda Carus[she is not from Middle-Earth], but everyone started calling her Crimson or Crim because she has red hair. Race: Again, she is not from Middle-Earth, but when she met Gandalf, as to disguise her, he gave her an Elven brooch which would give her a few Elven quailites. Weapons: A sword. She hated violence, but she had been in wars before. She didn't know how to use swords until Aragorn helped, and then tried learning how to use a bow and arrow from Legolas. Parents: Her parents aren't from Middle-Earth as well, but she looked up to Gandalf as a parental figure, and she often called him "grandfather." Story:After the forces of evil lost lord Sauron, and ezeldier, Elomeis forged a new ring. He revived the Nazguls and started the 2nd revolution of the ring by killing frodo and strangling aragorn, the king of gondor. Alter-ego: Appearance: tall, broad-shouldered, close-cropped black hair, black eyes. wears chain-mail,black surcoat and face-concealing helm. Parents: rumored to be the son of Faramir and Eowyn. Little is known about Reynault, and much is not fact, but rumor. He tired of life with his parents and left to become a mercenary. Somewhere along the way it is rumored that he lost his mind and led an army against the forest of Mirkwood, burning to the ground and slaying Legolas. Later, his own brother hunted him down and locked him in an institute for the criminally insane. Unfortunately, he broke out. Uh-oh. Rumor has it, you can hire this dangerous mercenary-general by going to the cave he now lives in, formerly inhabited by a certain dragon Bilbo Baggins may remember. Appearance:Pale-skinned.The only elf from Lothlorien with auburn hair,which reaches down to the small of her back.Her bangs are long so they sometimes flop over her big hazel eyes.Is usually mistaken for an elf from Rivendell.She does not wear a dress,but mithril,a cloak,a short skirt,tight fitting black pants,and the Legolas shoesXD. Magic:dark magic only when absolutely neccessary. Backstory:Her parents were killed long before she can remember.When she was young,the One Ring was destroyed.She then decided to travel all over Middle Earth to seek adventure.She then stumbled upon Mirkwood,now burned to the ground.She searched the remains to find nothing.She then came across the Mines of Moria,where she now inhabits.She used her dark magic to drive out all the goblins and orcs.One day,two little hobbits dared to journey through the mines.It turned out to be legendary Frodo Baggins and Samwise Gamgee.She attacked,not knowing who they were.Before she knew it,the wizard Gandalf made her come to a screeching halt.She learned the history of the hobbits,and let them pass through.If anyone intrudes upon her lair,she attacks. Appearance: All black clothes, literally. Hazel eyes with heavy black eyeliner, smoky eyeshadow, shoulder length dirty blonde hair. Keeps bangs in eyes. Weapon of Choice: Long bow made of Willow branches, dagger with a black blade. Magic: Healing, but only when absolutely necassary. Backstory: Parents were killed when one, ran away from orphanage at 13. Lived and learned everything she knows on the street. Born:Born out of a drop of blood that fell from hate and war. Personality:light harted or very angry "though she is little she is fierce" loves to sing and fight.Always fighting authority. Family: 12 brothers one of them (the first) is sauron. Story:She was born from war so can fight really well.When she was born the first war started she was stolen by her oldest brother (sauron) which caused hate between him and the rest of the world. at a young age was taken by one of her other brothers to live in his village in elmsdale. when the first age was coming to an end the darklings attacked and killed her race shes the only survivor (her brothers are diffrent races). all alone she set out but on her way out she dug a hole an filled it with blood and said "tis is the end of my race but the start of the blood town that is doomed forever".she meets villya and naria they travel together for many hundred years when one day sauron trakes them down he drains villya and naria's life and magic so he canform the one ring he wants nania as well but he is deafeated by the thing that made her hate and anger soon he realises shes the sister that went missing all those years ago. her friends gone her enemy strong she runs .She tries to run from her past and bumps ito gandalf when hes a little boy they travel together.after a few months they develope a love for each other but gandalf carries on ageing and shes still young so after many battles, quests and yeears he sighlently goes away leaving her by herself.Aragon finds her and looks after her like his own daughter he teaches her to fight with sword. he takes her to mirkwood where she mets legolas they become the best of friends. as she is walking around the palace she meets an invvisibal hobbit bilbo who wonders why she can see him. she helps bilbo and the dwarf escape.shes taken to fight the battle of 5 armys she tried to heal Thorin Oakenshield but he died. she is taked by legolas to meet elrond lets just say they dont get on well. she spens a few years in rivendale when a hobbit called frodo comes and gandalf its very awkward then they get used to it and they have a like argue relation ship which makes every one laught. she joins the 9ut they dont mention her because shes a girl. she stays with frodo till the end but has a habit of being with legolas,gimly,aragorn and gandalf as well. but she gets with them to the volcano ang gives gollum a gentle nugge over the edge. she travels with legolas and frodo to the docks then kidnapes them to stay back on middle earth oh yes and she takes gandalf aswell. shes still trying to fight her evil brother who anoyingly survives. merenas was the first elf to come to middle earth, he had to come to gain a foothold for the elves arriving from valinor. along with his household and kinsmen he made his home in the ancient forests whose name is lost to history. and he called his home temras seledron: stronghold of light. shortly after he welcomed the arrival of galadriel and elrond, aiding them in setting their own sanctuaries in lothlorien and rivendell. then the darkness came in the form of melkor: a traitorous former ainur who had betrayed his people. lord merenas and his elite elven bodyguard met melkor and his army on the fields of the land outside temras seledhron. merenas was heavily outnumbered but not even melkor( now known as the dark lord morgoth) could defeat merenas, for his power hearkened to an age before time itself. he defeated melkor and drove him back into mirkwood. hundreds of years later, when melkor had been defeated, another came to middle earth: sauron. he forged in secret a master ring and waged war on middle earth. merenas found him on the peak of caradhras, and merenas fought for the freedom of the eldar. after a long battle, merenas defeated sauron. sauron fled. but both merenas and sauron had been heavily wounded. merenas retreated to temras seledhron and waited. many years later. saurons ring passed to frodo baggins and he set off for rivendell. merenas was present at the council of elrong, another elf advisor suggested that merenas take the ring for safekeeping. merenas gre=w very angry at this, the air went dark and merenas spoke in a troubled voice " no!! i cannot take the ring! for with it i would become a power beyond all reckoning and i would cause the destruction of middle earth, becoming a dark lord more powerful than sauron and melkor"
then the ring was destroyed and victory wa theirs. the elves alll left middle earth, aswell as frodo. but merenas remained for 2 ages more before departing over the seas. Story: He was born in Derorier camp in Mirkwood Forest. He is Legolas Greenleaf's cousin. He was trained from a very early age and was sent into battle by Lord Elrond. He shot down the uruk-hai captain at the battle of Mezza-Dhum, in Isenguard. He was brought to his knees several years later by Saruman, who then threw Gwinvollor off Isenguard Tower. Blacktree survived but only just and lived to this age as a wise old elf who lives in Mirkwood, telling children of his tales. Weopons:Dark magic,a elven sword with a blade made of rubys,a staff of thorn vines,claws,and blade like teeth. Appearance:Black mithril robes,a golden mask,pale broused skin,and leather gloves. Character:Private,violent,protective of family,and HATES the race of man. Rings:After the battle of Minas Tirith he collected all the rings of the black riders and consumed them forifying his magic,but no recalls seeing him there. Story:No one knows were he is from only that he had markings on his plams and raised himself in the streets of Minas Tirith,but later was shund as a monster.Angered he went to a cave training in magic and blade mastery.Over three years have passed when Aragorn was named kind,and Aragorn heard tales of Molulmo and his magic over the dead killing innocent travelers and wonderous adventurers.Aragorn soon decided to travel to the cave and confront the dark warlock(as the local villagers called him)after fighting countless undead warriors and other wizards in the cave.Soon when he reached what looked like a grand hall before drawing his sword they talked.Soon after Aragorn said something to ofend the dark warlock they battled for hours.Aragorn tired and the dark warlock laughing for he wasn't even sweating striked Aragorn on the sword and dislocated his sholder unable to battle Aragon fled the cave.Now Molulom staying in the cave for years hopeing that Aragorn would return so they could finish what they started. STORY: Edhelrian was born and raised in Minas Tirith where she lived with her parents. She grew up alongside Faramir and Boromir, the sons of Denethor. She and Faramir were childhood sweethearts and her parents had hope that she would marry him someday. While, they still remained close friends, they never had any real deep attraction for each other. Faramir taught Edhelrian how to fight with a sword, shoot an arrow strait, and ride horses even though her father severely disapproved. She rides a stallion that Faramir gave to her as a foal for her birthday. (He is black with a flaxen mane and tail. His name is Thorondir.) She became a captain of Gondor, in charge of the defenses of Minas Tirith and fought in the Battle of the Palennor Fields. Look long drown hair tall eyes change colour with mood (most of the time icy blue) short leather dress with belt of 29 swords covers all of the bottom of dress bots knee high with for draggers in each cloth hood 122876456 dark purple and light green arrows in leather pouch white bow. Captured by orcs at an early age (she was only 3000). Learning new ways the ways of the orc kind. She was already trained as hunter. At the age 5000 she forgot she was a wood elf just a dark elf . Many ,many years later she was found and brought to rivendil to work as a slave. But when her mother was shopping for slaves and saw her she was brought to tears. To this day she still dose not turely know who she is. As his thirst for power grew, Buzil learned about Elomeis, and his victory over aragorn. Buzil seeked him out and was recruited to control the orc leigon. Buzil destroyed the mouth of sauron easily. His next challenge he vowed, would be to destroy Javada. (For results, please see the video above. Before Micheal became an orc he travled middle earth with his noble steed. The rookie already had 41 victories under his belt, but strangely enough, no sscars. Unfortunately, he was pitted against Buzils army, and was eternally cursed to become an orc warg rider. Then, Micheal because of his expertise, rose in ranks. He carved his own crude sword, and killed his general. He did so many times, and kept rising and rising until he was a berserk killing machine. Micheal wouldn't stop. He killed more of his men than he did enemies. Unfortanately, Buzil found out, and sent micheal to do the unspeakable as a punishment. He faced his greatest challenge yet. Micheal faced Javada. He charged wildly with whole armies at the city of rivendell, but took three flaming arrows to the head, and was defeated. Story: Henry was born in Lothlorien, and became a guard. weapons: dark sword and infinity staff. apperance: like sauron but has a larger crown and his cape is an inferno. story: after sauron was defeated, his brother noruas took his remains to make his ring. he waited behind the scenes until mordor was destroyed, then empowered his ring with the excess black magic there. and now he has become the new dark lord. Weapons: She favors a bow, bt will use a sword if she can get one. Appearance: Tall, with long dark brown curly hair, and a fair complexion. Though she is half hobbit, her feet are normal size for an elf, but rather hairy... She wears boots no matter what she has on. She has freckles, and blue eyes. She dresses like a female elf, only when she is not out hunting or questing, then she dresses like a male. Story: Her mother and father met by accident, but fell in love. She was born only two months after the birth of Legolas Greenleaf. She was born in Lothlorien, during a visit, though she resides in Rivendell. She accompanied the fellowship, but was not considered a member of it, as she wished. She left them when they stopped in Lothlorien, and joined Aragorn, Legolas, Gimli, and the people of Rohan at Helm's Deep when the Lothlorien elves joined them for battle. She has a deep love for Legolas, and for Haldir, though Haldir is more like a brother. from: dad was from bree, mother from northern mirkwood (she gave up her imortality to be with him) he was born in bree. His farther was killed by orc when he was 2 and his mother was slain by a orc arrow trying to protect him when he was 5. she hid him and the orcs couldn't find him but the elves could. they brought him back to the northern relm of mirkwood and because his mother was one of them, they raised him as one of there own. he became very good friends with the elf legolas who trained him in archery and they would often go out hunting together. he was a natural swordsman. him and legolas stood side by side in the battle of the 5 armies. that was when he first had proper contact with his own race (the dunedain rangers) and he first met aragorn. years had passed and he spent most of his life in mirkwood or speaking with aragorn in Bree or once in sarn ford until one day he found aragorn on the edge of mirkwood staring at the ground. he said he was searching for the creature gollum under a wizards orders. Amras had only seen gandalf once but that was enough for anyone to know how wise and powerful he is. he saw no reason why he shouldn't help arogorn. so arogorn gave him orders to search down south near rohan and the fords of isen to see if any fresh track could be found there. that is where he saw theodred and his men being ambushed by orcs. out of sheer hatred for the orcs he joined in the battle but was put down by an arrow. next thing he knew he woke up in a bed with eowyn looking over him. a scout of rohan had seen the battle and when eomer found theodred he told him of amras' heroics and so they brought him back to edoras to be nutured back to full health. Amras was so thankful he swore aligence to Eomer and they were grateful to have such a warrior to ride with them. when eomer was banished he went with him not returning to mirkwood, infact, he never saw that place again. he followed eomer in the charge at helms deep and at pelennor fields. however, Amras' downfall was that he followed Eomer to the black gate. Amras was stabbed from behind knowing he would no longer be able to fight in the battle amras did his last service to eomer by stumbling to eomers side and getting in the way of an arrow heading for eomers back and so passed the great warrior Amras son of adrahil. when the battle was over eomer finally released him from his services and allowed his body to be taken back to mirkwood were he was classed as a hero and buried and still they sing songs of Amras and his heroics. I know its not as long as everyone else's but here's mine. Appearance: Medium Length dark brown hair, dark brown goatee,dark brown eyes,skin colour similar to Aragorn wears Gondorian soldier Gauntlets, Gondorian soldier boots, Gondor shirt similar to Pippins at the battle of Minas Tirith,Black pants, Green Cloak. Story: Eisgar's past is foggy all that is known is that his father was a soldier of Gondor and his mother was a caretaker at Rohan. He was raised by a poor family and was given his fathers blade for his 15th birthday. He later joined the Gondorian army when he was 18 and and took part in the battle of Minas Tirith when he was 20. Afterwards he joined a fellowship who's job was to rid middle-earth of the remaining orcs and uruk-hai which are scattered throughout the whole of middle-earth, the fellowship is led by Eomer and consists of Men of Rohan and Gondor. Quite a few of the stories are about the person being Saurons brother or meeting the fellowship, or travelling with them or being the main reason the ring was destroyed I'm not saying that it's a bad idea it's just a bit confusing. Nobody has made a full-blooded hobbit yet (Inwe_Elensar had an elf-hobbit mix :/), so i shall be the first! Story: Fauna was one of Rosie Cotton's (Sam's wife, later in the movies) sisters (i dunno anything about Tolkien's actual hobbit geneaologies, just making this up :P ). 3 years after Gollum bites Frodo's finger off and destroys the ring, she becomes Pippin's girlfriend. Merry, overcome with longing, pulls her away one night and has some "fun" with her, which results in ultimately destroying his and Pippin's friendship. Appearance: Wavy dark brown hair down to her knees. Pointy ears (obviously). Dark green eyes. Tall. Name: Vanessa. Only truly close friends and family call her Nessa. Parents: Lilly and James. Lilly is the elf, James the human. Appearance: on the short side at just 5'0. brunett hair and blue eyes. sort of the thin side and is well muscled from the past eight years of using a very big bow. Story: At age ten she was recruited into the Rangers Corps. She was taught by James, the best archer in the Corps, so she was now the second best. Her parents died during the second war with Saroun where Frodo destroyed the ring. She now spennds most of her time trying to find the mercenary that had killed her parents. Then one day she meet Legolace, Gimly, and Aaragorn, who turned her whole life upside down. Story:Larien was found wandering around Rivendell and was taken in to be raised by the other elves. she learned Magic at only 3 years of age and as soon as she could stand was playing with her toy bow and arrows. At age 12 she was given a Bow And Quiver of arrows of her very own and oh how she loved that bow. she never left the house without it.at age 17 she attended the council of elrond but was not permitted to be a part of the fellowship. She thought Legolas was Quite handsome. when the company returned Larien was the firt to greet them. she loved the celebration and a few days later Larien,Legolas,and Gimli were off to go and slaughter some Orcs. when they returned every elf had found out that Larien was one of the best archers that ever lived. A couple months later Larien and Legolas were in love. -Appearance: Tall and Strong with short, black hair. Wears a dark brown leather chestpiece (with The White Tree emblem) and leather leg-guards. Dark green cape (with hood) and Dunedain brooch. -Weapon: Broad (3 inch. ), 1H sword. With the same hilt as Boromir's sword. -Ring: Silver with a black ruby embedded (no mystical benefit). -Story: Nobody knows where he was born. A battalion of Gondorian soldiers found him in the woods. He was raised in Minas Tirith where he was trained in the skills of the gondorian rangers. At 48, aragost decided to search for his origins. All he found was a silver ring with an inscription belonging to his father that was later translated by his good friend Gandalf The Grey. The translation revealed that Aragost, like his father, had Dunedain blood running through his veins. At 80 years old (to his surprise, the prime of his life), Aragost and his travelling friend Aragorn were both asked by Gandalf to watch over The Shire after succesfully hunting, tracking anfd finding Gollum. After Aragorn revealed himself to the hobbits, Aragost decided to return to Gondor and help protect Osgiliath. Later on he was asked to stay in Minas Tirith and not ride to his death beside Faramir. Story: Davia does not know any of her relatives. Her adoptive father is Grima Wormtongue, he has raised her as his own. When she grows to be 11 she is recued from her evil adoptive father by Galandiel, she takes Davia to Elron's kingdom for a few years. She bonds with Arwen and Aragorn. Later on Grima returns, he kidnaps her and takes off to Rohan (by now she is 15) on the way they stop to rest at an inn. She escapes during the night and hides. Grima looks for her but fails so he leaves. personality: brave, loyal, strong minded, very wise, pretty unfriendly to strangers. both of them had their own village but then sauron came. And lord fëanáro saw most of his villagers and army getting slaughtered by orcs. He managed to gather little group of survivor and so began journey to galadriels' village, only 5 of them survived to their destination. Again years passed and it was time for battle of last alliance. At last sauron was defeated but isildur refused to destroy the one ring. Lord fëanáro took part in all battles for middle-earth and survived. Few years after the fall of sauron, saurons' long forgotten son forged new ring and gathered saurons' army years passed and lonely rider arrived to minas tirith to inform aragorn from the comeback of sauron. Middle-earth had to fight again, battle took place inside minas morgul where legolas died to arrow of uruk-hai, shortly after that, aragorn himself got killed. Lord fëanáro challenged new dark lord to duel, after long and hard battle he prevailed and ring was destroyed. After the costly victory fëanáro decided to return to valinor and he was never seen again. Weapon: Enchanted, self-reloading crossbow with poison-tipped arrows. Appearnce: Wears black robes and a black enchanted chestplate that is very light but Incredibly durable. Hood obscures facial features. Preferred form of Magic: Incineration and invisibility magic. 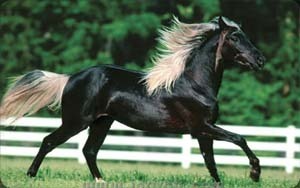 Mount: A jet black stallion he calls "Ravel". Not much is known about Ovanl other than what you see above. He is master of camoflauge, and preferres to travel by night. His invisibility magic and dark attire make it very hard to spot him. Many rumours surround this mysterious figure. He is a surviving Nazgul. No, he is an anceint phantom. No, he is Death's avatar. And thats just the way he wants it, a near legendary status that strikes fear into all who so much as hear his name. STORY: Lessien Inglorian wanted nothing more but to live in peace in Mirkwood with her true love Legolas Green leaf but when he got called away on urgent business concerning the one ring and the forest was attacked they called on the strongest warriors. Lessien was one of these , Alone she took down one quarter of the army Sauron has sent to destroy Mirkwood the rest where taken down by the rest of the elves No-one killed as many Orcs as Lessien did that day. When the ring was destroyed and Legolas returned they married and had 4 Children Eowyn , Aragorn , Frodo and Mirthandir after people who fought bravely throughout the quest. Weapon: elven sword, sharp shield, emergency dagger and a ring of power. Appereance: with blond hair, deep brown eyes and tall. His ring of power is a triangle with three little triangles inside(ruby, sapphire and emerald.When he goes to war has a golden armour with a green cape. Story: He was the first and secret son of both, EÄrendil and Galadriel. He was trained by His grandfather Tuor and many other great elven and human warriors. He was 18 when he foughtagainst an orc host and saved his father from death.He fought in angbad, dagorlad and mordor. He was responsible for the killing of the remaining 8 Nazguls and the defeat of the great orc army in the north.He was 7980 when his grandson became king of Gondor because Eldarion's wife was EÄriel's daughter. He went to all of arda and then went to Minas anor with his family. Steed: The biggest Mumak of alltime Fangfarfarinkharinfarakhalelinorg the great. Story: He ruled all middle earth for a long time and conquered Aman.H efought against the tenth king of gondor and arnor,Eldanfarin, who had alliances with everyone except Harad and the orcs.He asked Orome to go and attack Khalil but he lost in duel. Khalil Had crossed the walls of Arda and taken Grond.He shot at Ulmo and Tulkas and robbed their thrones and weapons. He then killed every army in arda and won against the Valar. Eru Iluvatar came downto arda to fight Khalil, but all harads army and all the mumakil, all the eagles and dragons, every soldier and Wise Maiar attacked Eru until Khalil went with grond and killed Eru. He then took Eru's staff and became king ofthe universe. He had offsprings of every race. Birth: Jan. 19th 4th age. Story: Galdir was only 10 when his mother was slain by haradrim and his father died earlier in the defense of helms deep. He used to live in lorien but when his mother died he was put up for adoption and he got adopted by a kind elf lady but in 2 yrs she was killed and he ran away from home and lived in the wild for 1,000 yrs because he did not wanna see any more people die but soon he was called to war as the last orcs joined thousand of brigand groups and easterling and haradrim groups and they were waging war on middle earth he died in the battle of the gap of rohan. Cat apperence: a four foot by 4 1/2 inch cat, brown base color with stripes that make her pelt look like the sun setting. Appearance: 28 year old young (13 by the looks) wood elf of the Mirkwood realm. Princess of Mirkwood, she loves hunting and fighting and adventuring. Her favorite brother is Legolas, she traveled with him during the War of the Ring. A very hard past full of torturer and her mother's assassination. She now bares her mothers amulet that by myth hold great power with it she hopes it will help her find her mothers killer. She cares for her clan and tries to keep peace between the other clans. She became known through out Middle-Earth as a fierce warrior, but also as the Buffalo killer for she can kill buffalo as Dawnstar and was the first cat to do it alone. When the War of the Ring was over she later traveled with Legolas, Gimli, and Aragorn to Skyrim and found out that her and Legolas were DragonBorns! After defeating Alduin, Legolas married a wood elf who was born in Skyrim named Mirima and had two children. A elvish boy named Beleg and an elf girl named Tinu. Lessiel and her brother returned to Middle-Earth, she later found love with a Rivendell boy named Aldon. They fell in love rather quickly but agreed that they would not get married until they are of age and Lessiel is ready to settle down from adventuring. But Aldon in a warrior of ThunderClan named Hawkclaw. Hope you liked it! Yes I added some Skyrim and Warriors stuff... What I love the game and book! Appearance: Taller than other dwarfs but lower then men, thin, light leather clothing and a cape in dark grey. Lurin's parents are Soin and Gawadiel. Soin and Gawadiel had to be with each other in secret, since the Dwarfs of Moria and Elves of Mirkwood did not like each other. Lurin and his parents were forced to flee, because of the war. Lurin fled with his father to one of the Dwarven citys, while his mother was killed while fleeing to rivendell. After the war Soin became a blacksmith, and showed Lurin the art of smelting. Under a archer tournament, one of the participations missed the target and hit Soin. Soin did not survive. Lurin were only a youth when this happend, and he were forced to live alone. He took work in his father's blacksmith and worked there for some time. He decided to move back to moria (after it got restored) and become a blacksmith there. He forged his own warhammer and made his own bow, since no other dwarf used a bow he had to travell to Rivendell, to get arrows. He travelled alot between Moria and Rivendell. He accidantly killed a fellow dwarf, while showing off his bow, and later went into exile in the forrest of Mirkwood. he visited the group he met earlier. He joined the group which called them selves for Soin's Wrath. Soin's wrath became quite unpopular and disliked, which ended in them moving to Gondor, where they got a mission. The mission was to retrieve the daughter of the lord of Gondor, which was held captive by the Men who turned evil. Lurin was killed while retrieving the daughter. The whole dwarf kingdom and Elf kingdom (well atleast those who heard about him) mourned for 15 days and 15 nights.